In order to conduct experiments on interactions between animals and food organisms, it is necessary to develop a medium that adequately supports the growth of both algae and zooplankton without the need to alter the medium to accommodate either the algae or the animals. We devised a freshwater medium, named COMBO, that supports excellent growth of both algae and zooplankton. 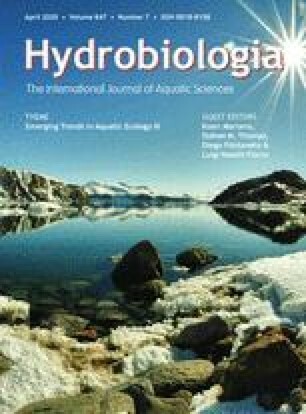 Two types of algae, Ankistrodesmus falcatus and Stephanodiscus hantzschii, were reared in COMBO and their growth rates were not significantly different from those of algae grown in a reference medium (WC). One of these algae, A. falcatus, was then fed to a cladoceran, Daphnia pulicaria, which was also cultured in COMBO, and the resulting fecundities of D. pulicaria were compared to those of animals reared in natural surface water. We also determined whether the value of COMBO as a medium for D. pulicaria was affected by modifications in nitrogen or phosphorus concentration to evaluate whether the new medium will be useful in nutritional research. Lowering the N or P content of COMBO did not affect the reproductive performance of D. pulicaria. Other researchers have also reported excellent growth and reproduction by numerous algae and zooplankton reared in COMBO. Our results suggest that COMBO is an effective artificial, defined culture medium capable of supporting robust growth and reproduction of both freshwater algae and zooplankton. This revised version was published online in July 2006 with corrections to the Cover Date.